According to Gazprom Neft CEO Alexander Dyukov, Russian oil companies are increasing their production in 2015 despite the low price of crude. Regardless of the fact that competitors throughout the world are reducing their investments, Russian players are maintaining them at previous levels – largely thanks to the low value of the ruble. Despite the cost of crude on international markets, Russian oil companies are increasing production, according to Gazprom Neft CEO Alexander Dyukov. Speaking at the St. Petersburg International Economic Forum on June 18, Dyukov said that the price of $50-60 a barrel does not frighten Russian companies. “By 2020 our company alone plans to increase production by 33 percent by expanding geographically, for example into the region north of [the Arctic peninsula of] Yamal and to Eastern Siberia," said Dyukov. He added that the increase of production benefits from the use of modern technologies and the cheap ruble. Russian Energy Minister Alexander Novak said that the Russian budget for 2015 had been based on a price of $50 a barrel of Urals oil (which traditionally is traded slightly cheaper than Brent), $60 a barrel for 2016, and $65 a barrel for 2017. "Today the budget is balanced, however, we would like for the prices to be higher, especially considering that the value of the ruble largely depends on foreign currency earnings," said Novak, who added that Russian oil and gas companies are coping with the current price levels nonetheless. "The earnings of oil companies fell by 40 percent throughout the world, but the ruble earnings of the Russian players remained at the same level as before due to the low value of the ruble," he said, explaining that Russia had planned to reduce the volume of oil production, but in reality production increased by 1.6 percent. In May 2015 Russia became the world's largest oil producer for the first time since 2010. 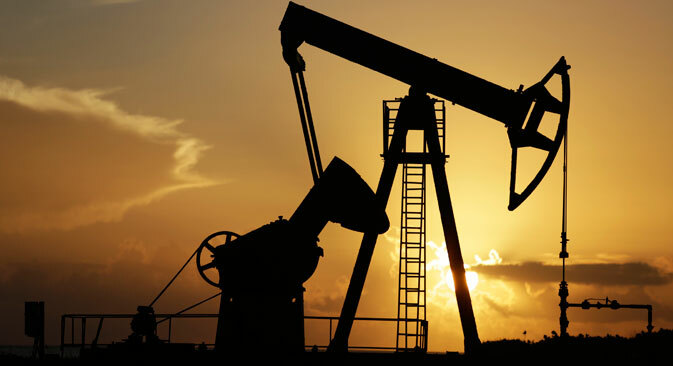 Official data reports that Russian companies produced 45.288 million tons of oil and gas condensate in May, which is 1.6 percent more than in 2014. As a result average daily production in May reached 10.708 million barrels, slightly higher than the April figure of 10.67 million barrels. For comparison, Saudi Arabia produced an average of 10.25 million daily barrels in May. Shell CEO and forum participant Ben van Beurden predicted that the price of oil is set to grow to a level of "$79 plus or minus $10 a barrel" in the near future, dismissing the idea that a potential influx of Iranian oil would keep prices low. "If sanctions on Iran are lifted and the country increases its oil exports to 20-30 million barrels a day, it will not have a serious influence on the world oil market and on the cost of crude because demand is also growing," said van Beurden. Nevertheless, Russian Energy Minister Alexander Novak believes that the average annual price of oil in 2015 will be lower than in previous years: "The market opportunities are such that Brent prices will stay at a level of about $65 a barrel," he said. Alexander Dyukov said that in the end, Brent prices at a level of $80 a barrel may suit both consumer and producer since low oil prices help increase investments in production, though he cautioned that “the longer the prices remain low, the likelier it is that prices will soar in the future,” saying that while that the short-term price will remain around $75 a barrel, in the future it may return to a level of $100 a barrel. On June 5, OPEC decided to maintain its oil production quotas at the previous level – 30 million barrels a day. The decision saw oil prices dip slightly, accompanied by a consequent weakening of the ruble. The OPEC decision was expected, said Alexander Novak, since "any other decision would only have had a short-term effect and the last time the organization reduced its production quotas was in 2008. Today a decision to reduce production would mean that there would be more non-OPEC countries on the market," he said.